NOSE: Clean, fruit driven nose with white apples and pears, light bay leaf, wild herbs, nectarine, ginger and jasmine on the nose. PALATE: Extremely fresh, with orchard fruit, melon, and floral flavors. Finishes long and lively, with vivid citrus zest and honeysuckle notes lingering. WINEMAKING: The grapes enter the winery by gravity. A special maceration to obtain the desired color intensity and increasing our aromatic complexity. At each stage atmosphere controlled with dry ice. Slow pressing at low pressure, blending the qualities of the musts. Static sedimentation at low temperatures. Alcoholic fermentation separated by soil, in stainless steel tanks at a controlled temperature and aged on the lees. Wine without stabilizing or filtering. It may be cloudy. COLOR: Light peach skin color. NOSE: Intense strawberry aromas, with orange pith, white floral notes, and a hint of white pepper. PALATE: Dry and racy on the palate, with refreshing bitter red berry skin notes, citrus fruits flavors, and a touch of wild herb. Dry, refreshing acidity on the persistent finish. WINEMAKING: Gravity-fed grapes, skin contact maceration to get the desired color intensity and increase the aromatic complexity. Controlled atmosphere at each stage with dry ice. Slow pressing at low pressure, blending the qualities of the must. Static sedimentation at low temperatures. Controlled atmosphere at each stage to fully conserve the aromatic potential. Alcoholic fermentation in stainless steel tanks at a controlled temperature. NOSE: Very fresh with notes of aniseed and fennel, bay leaf, and plenty of white fruit and floral aromas. PALATE: Persistent, fresh, and dry, with almond, nuts, and wonderful salinity combining with fresh white fruits on the lengthy, focused finish. WINEMAKING: The grapes enter the winery by gravity. At each stage atmosphere controlled with dry ice. Slow pressing at low pressure, blending the qualities of the musts. Static sedimentation at low temperatures. Alcoholic fermentation separated by soil, in stainless steel tanks at a controlled temperature and aged on the lees. A cloudy wine, which has not been stabilized, clarified or filtered, through which we seek the maximum expression of Xarel-lo. The lees (turbidity) give us long life, more volume in the mouth and protect our wine from oxidation; thus enabling us to work with a reduced use of added sulphur. NOSE: Intensely perfumed lemon zest, poached pear, mineral notes, and a floral character. 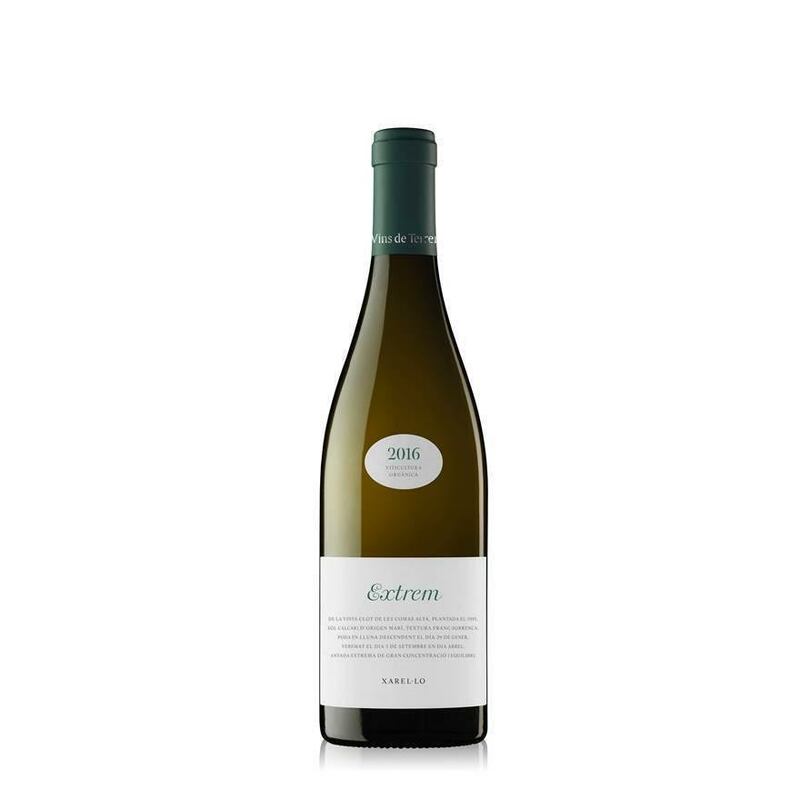 PALATE: Clean, brisk and concentrated, with ripe citrus flavors and a honey note, and a persistent, fresh finish. WINEMAKING: Temperature controlled fermentation in stainless steel tanks. Un-oaked. NOSE: Vibrant red and dark berry aromas, black pepper notes, spicecake, and violet notes. PALATE: Spicy and energetic, with bitter cherry, black raspberry, and velvety tannins leading to a silky finish. WINEMAKING: Temperature controlled fermentation in stainless steel tanks, followed by Aged for 3 months in French oak barrels.